Yesterday afternoon, I received a provocative tweet from my husband. “I have a surprise for you”, stated the first tweet. “Is it a good surprise?”, I asked. “Do I get more clues?”, I asked. “It’s white, and textured and not a cat” was the reply. Shortly after, I was picked up from work and I got to see my surprise – it was a brand new Kobo eReader from Borders book store! 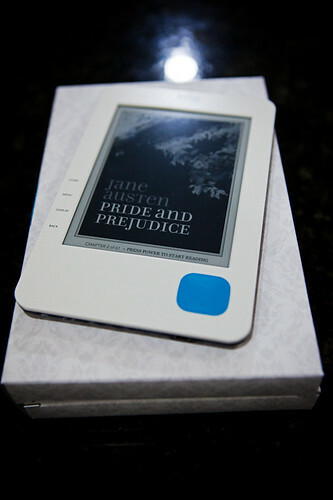 Here’s a brief initial review of the Kobo eReader, based upon my short use of it.